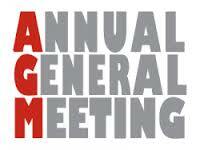 The AREG held it’s Annual General Meeting (AGM) on Friday the 17th of July. This was followed by a talk from Chris VK5CP about RTTY Contesting and a general members meeting. As a result of the AGM there is a new executive and committee, with a few familiar faces. This year Scott VK5TST moves into the position of club Secretary, with Mark stepping down back to the committee. We thank Mark for this hard work over the past three years in this role. Grant VK5GR has stepped up from the committee to take on the role of club treasurer, welcome Grant to the exec team. Ben VK5BB and Andy VK5AKH will carry on as committee members. We’d also like to welcome Josh VK5JO who has volunteered to join the committee team. I was more than happy to continue on as president. Thanks again for your support and we look forward to planning a new technical talk and activities program for our members pleasure. This entry was posted in Club News, Meetings by VK5ZM. Bookmark the permalink.